Shiri is an agricultural practice that uses software and mobile applications as agricultural service solutions for farmers while creating a vibrant ecosystem of agricultural alliances. Our goal is to drive insights for food and nutrition security at the micro and macro levels. We believe agriculture is key to solving hunger and Shiri is committed to creating lasting solutions that curb hunger. We make sure every farmer has access to the resources they need so that they maximize their harvests, by providing a resources platform for production, processing, storage and market access. 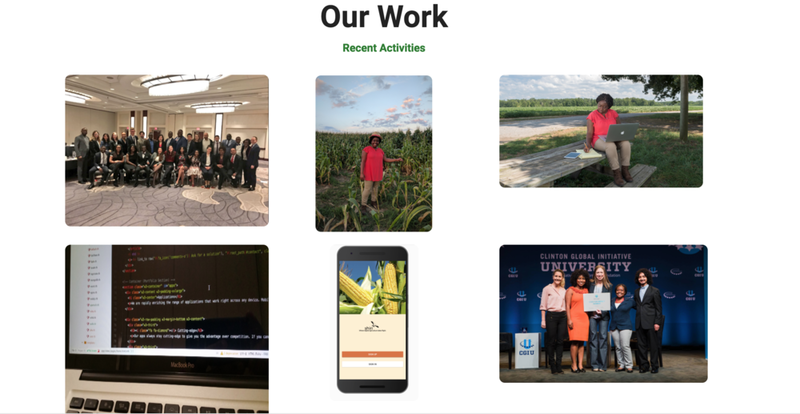 Our services include developing peer-to-peer communication platforms for African farmers, geospatial data collection and analytics, consulting and agricultural outreaches. We work with farmers, consumers, micro-finance agencies, agribusiness companies, agrochemical companies, seed companies among other service providers. Making sure the whole population has food access by helping farmers, commercial and smallholder, maximize their harvests. Ready to join us? You can become a contributor to our cause, or participate yourself. "40% of all children in Sub-Saharan Africa are stunted in growth due to hunger."